When someone donates to or fundraises for your organization, they want to know one thing: that their contribution made an impact. 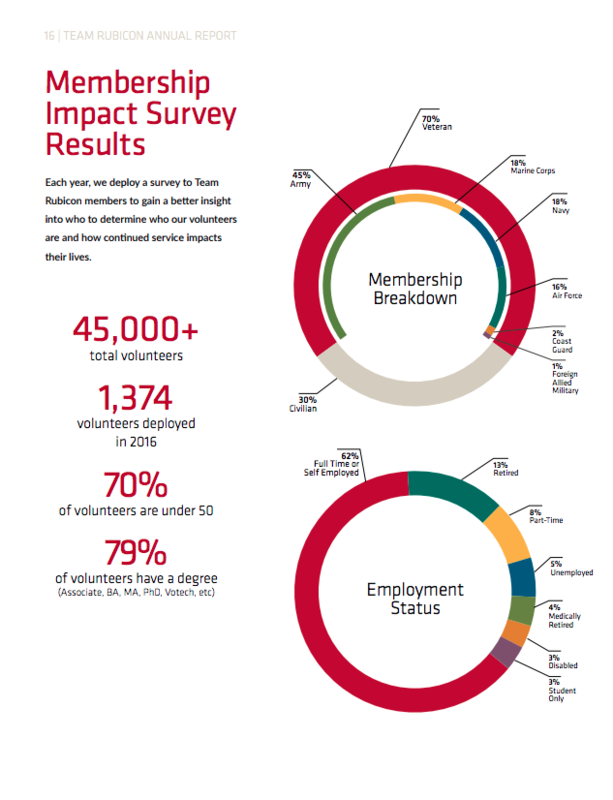 While you should regularly demonstrate this in your communications, your nonprofit annual report is the place where you compile this information and ladder donor impact into your nonprofit’s overall accomplishments and progress for the year. Annual reports usually include data, stories, and progress reports from the last year, as well as a peek at what lies ahead. While the annual report serves many purposes, one of the most important goals is to build trust with your supporters through transparency. With so much to share, it can be tough to determine what to include and what to leave out. To make this as easy as possible for busy nonprofit professionals like you, we’ve created an interactive worksheet that will help you align your team’s focus, collect the right content, and keep your readers interested. 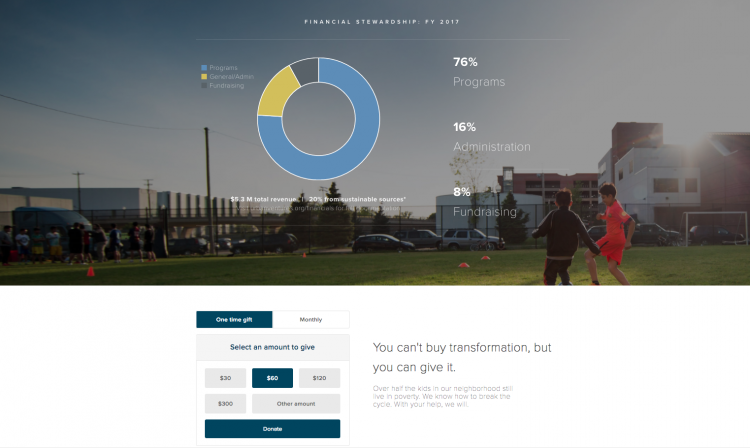 A nonprofit annual report is a curated package of information (digital or print) that gives a thorough account of what the organization has accomplished over the previous year. While its purpose can be multifaceted, its main goal is to showcase financial transparency, supporter appreciation, and the organization’s impact. Depending on your organization’s size and bandwidth, your report may be a straightforward one-sheeter of essential information, or it could be a living document hosted on your website that is regularly updated throughout the year. Check out four examples of annual reports below. Urban Ventures is a community organization focused on breaking the cycle of poverty by educating kids, strengthening their families, and building a healthy community. The Minneapolis-based organization created an interactive annual report that lives on their website and allows supporters to learn about their programs and beneficiaries in depth. 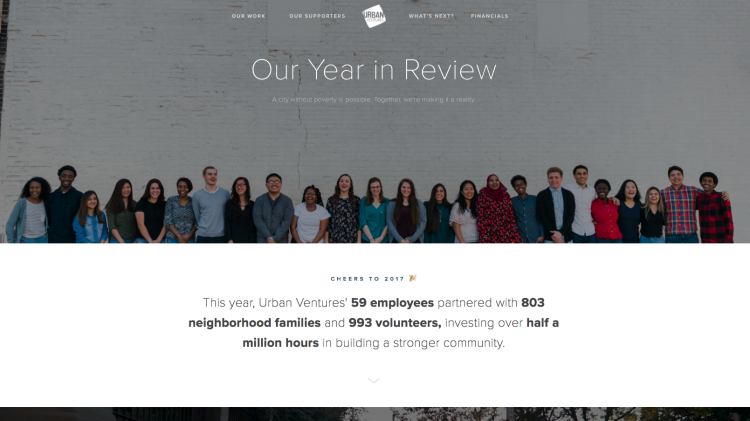 What We Love: Urban Venture’s annual report focuses on the people they serve with images, stories, and video to highlight their impact on the community, while still providing data. Also worth noting is that Urban Ventures takes advantage of using an online report by including a donation form at the bottom of the page. Include a call to action in your annual report to capitalize on the powerful messaging and emotions that your report invokes. 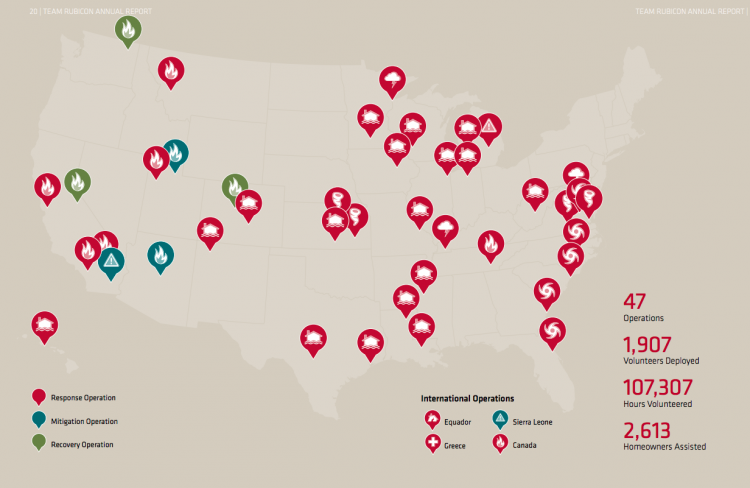 Team Rubicon provides emergency response services during natural disasters around the world. This year, Team Rubicon created a digital annual report that can be viewed online or downloaded so that the supporters can read at their leisure. This report checks all of the boxes on what to include and does so in a way that rings true to their brand. What We Love: The 2016 annual report by Team Rubicon demonstrates how you can share large amounts of information while still using design elements, graphics, and photos to complement your data. The report includes extensive data, but photos from the field and engaging infographics are strategically dispersed throughout to help readers connect with the statistics they read. Technoserve works in the developing world to build competitive farms, businesses, and industries. 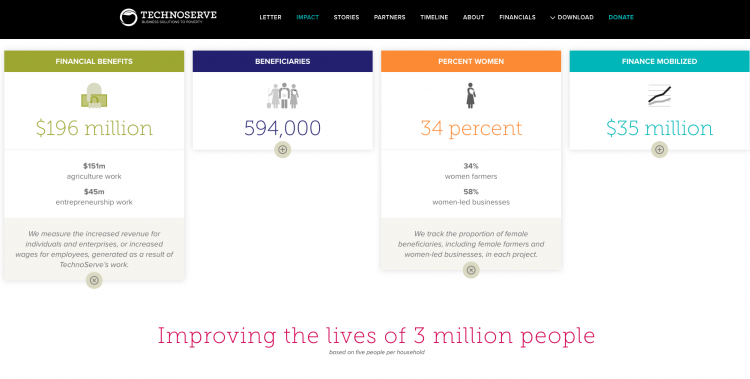 Technoserve uses business models to help promote change and create market systems to lift communities out of poverty. What We Love: Technoserve makes the most of their space by having almost every facet of the report be interactive. Examples include the 2016 timeline, regional impact map, financial data graphs, scrolling list of partners, and a link to their interactive results portal. The design engages and presents an incredible amount of information without overwhelming the reader. Love Takes Root is on a mission to provide educational and humanitarian support to children in developing countries. 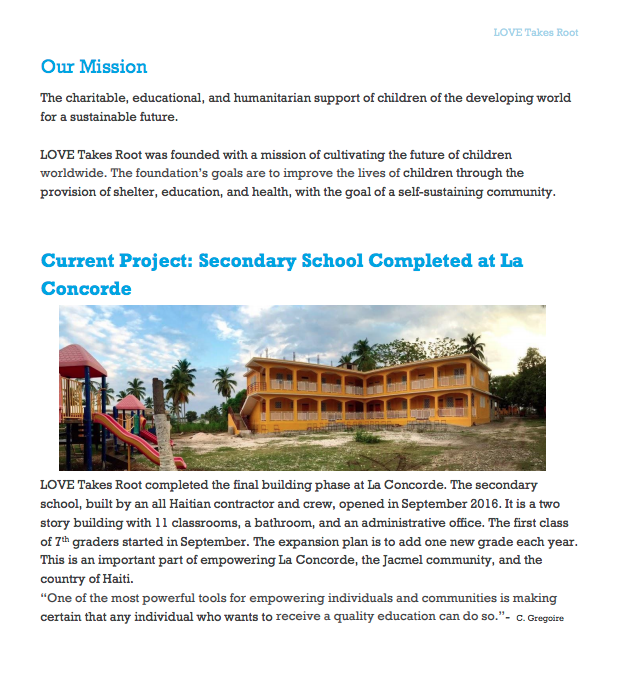 What We Love: An easily digestible report like this one by Love Takes Root is the perfect option for smaller nonprofits that don’t have the time or money to spend to create a webpage or complex version of their report. Long gone are the days when organizations produce 30-page annual reports that few people read in full. Instead, modern nonprofits opt for a less-is-more approach by focusing on the high priority topics. The entire report should read like a personal message to your supporters and the best nonprofit annual reports include a balance of concrete data and qualitative insights. What do you need to include? According to the National Council of Nonprofits, “Tax-exempt nonprofits are required to provide copies, upon request, of their three most recently filed annual information returns (IRS Form 990) and their application for tax-exemption.” The exact documentation can vary according to state laws, but at the very minimum nonprofits must have copies of the aforementioned tax forms available. The first thing you need to do is gather your team and narrow your focus. We know you probably want to use your annual report to perform a not-so-humble brag about all the incredible people you’ve helped and campaigns you’ve crushed, but this isn’t the place for an all-inclusive list. Rather, celebrate the highest of highlights from the last year. When determining what to include, remember that while other nonprofit professionals will understand your impact data, your donors, fundraisers, and volunteers are moved by human impact stories. They want to see photos and videos and read about the work your organization does in the field and how that work makes a difference. To make your best nonprofit annual report yet, download the worksheet below and follow the steps with your team. Rather than thinking of creating an annual report as a chore, remember that this is a great opportunity to get your key messaging in front of potential donors, corporate partners, and any others interested in your nonprofit. Don’t miss this opportunity.